Missouri offers Pregnancy Resource Center Tax Credits. Here is how it works. 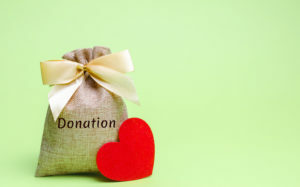 If you donate at least $100 between January 1 and December 31, you are eligible for a direct tax credit of 50% on your total donation to PhC for that period. This is in addition to the normal deductions you receive on charitable contributions. Twice a year, we will send you a form to apply for tax credits. Mail it back to PhC, and we submit the documentation to the Dept. of Social Services. They will send you a letter with a tax credit number to use when you file your tax return. Tax credit forms must be received at the state department no later than one year from the contribution date. The process is easy and fast. Your out-of-pocket expenditure is a fraction of the amount that comes to PhC because of tax credits and your normal charitable deductions. The full donation benefits women and their babies. Electronic giving is easy and secure. You can use a checking or savings account or your credit card. Please consider giving a recurring monthly gift. Recurring monthly gifts give us a strong foundation on which to build our budget. Your donations allow PhC to provide services to pregnant women and new mothers that help them choose life for their babies.